She's washed in color, draped in it. 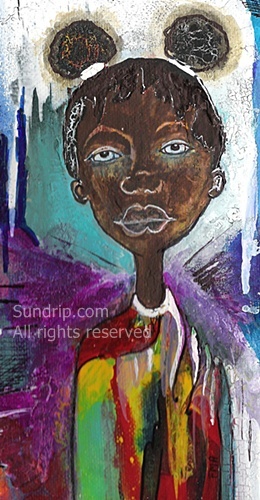 Her sad eyes look out at the viewer not for assistance but to offer it, to offer and explanation. 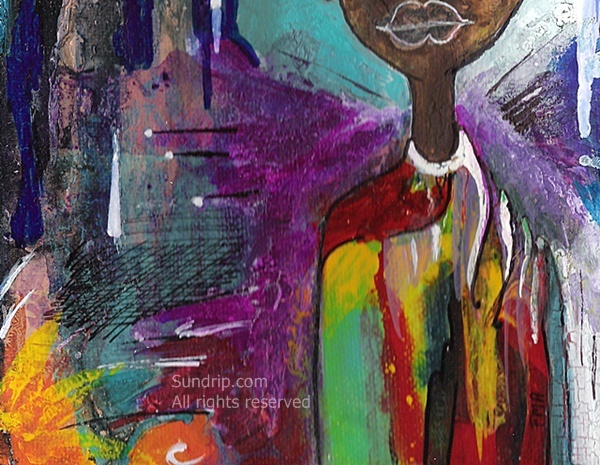 This painting is in expression of life with Lupus and Fibromyalgia. 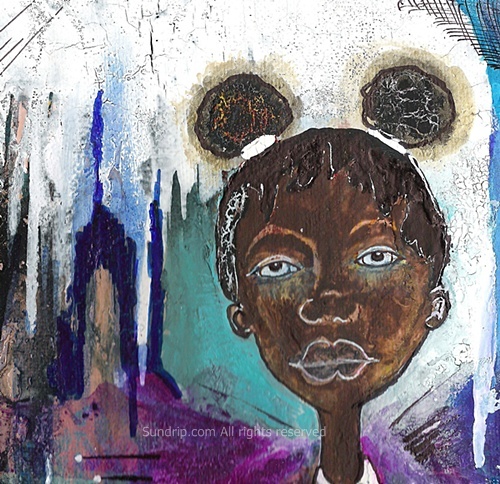 A young black girl with two pony puffs (love knots) wrapped in gold stands to the side of a recycled canvas as colors wash down the side in abstract form. 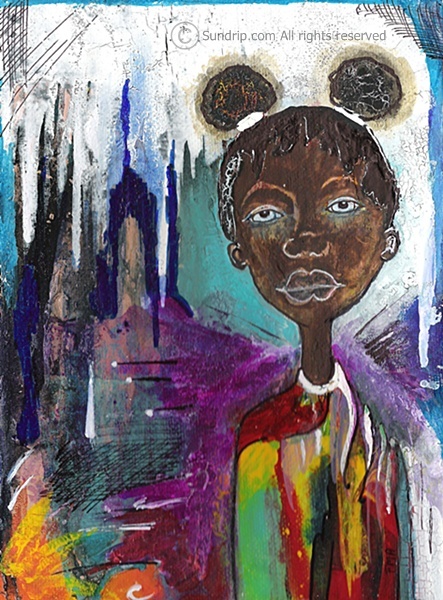 Whitewash, blue wash, purple scores, turquoise and cold all collide beside this young girl. 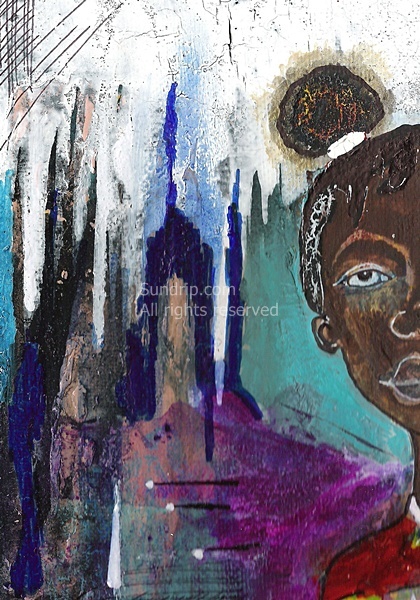 Painting details: Sad eyed child, African-American girl child, bright colors, crackle medium, white wash walls, dripping, falling colors, abstract, emotive, pony tails, pony puffs, eye catcher painting. Faith, it's been such a long time since I've stopped by. She is beautiful.